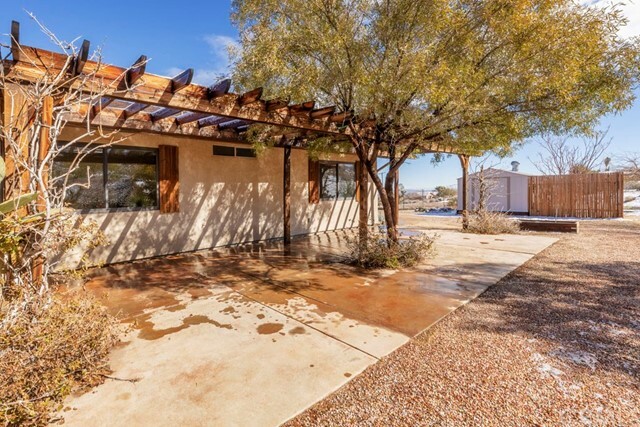 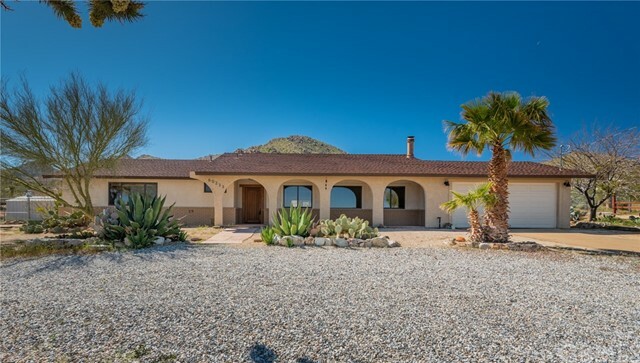 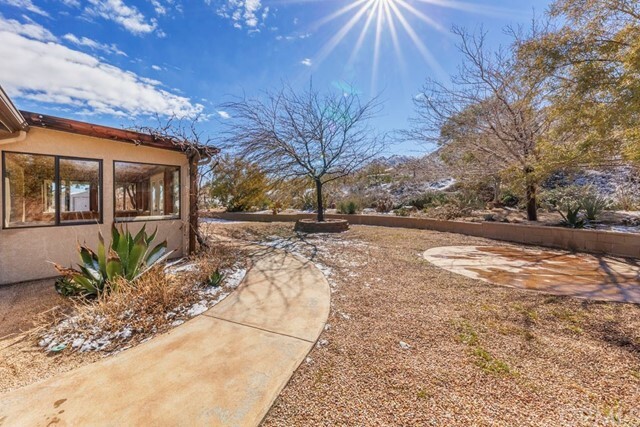 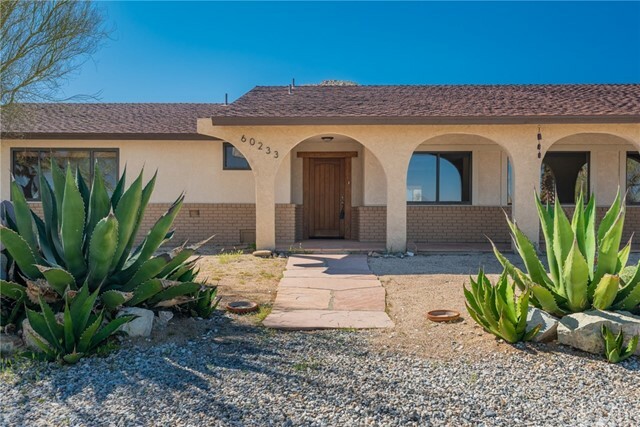 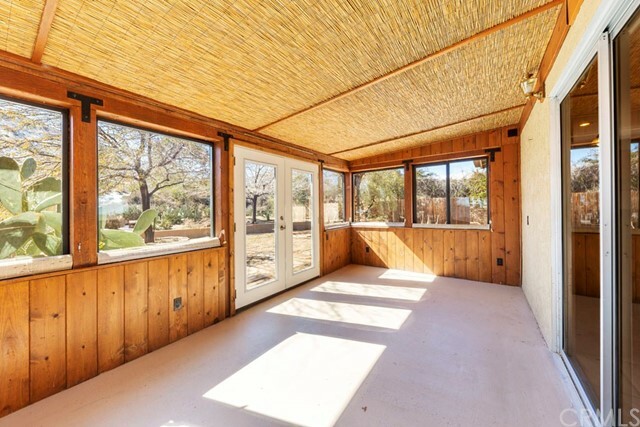 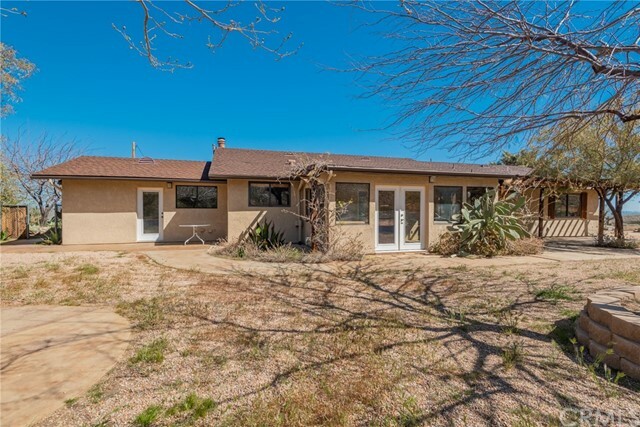 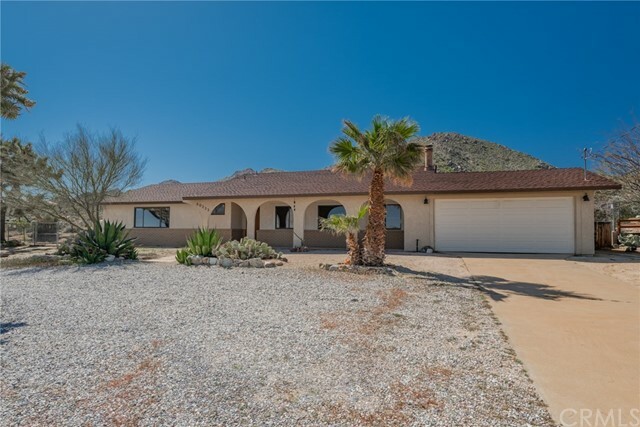 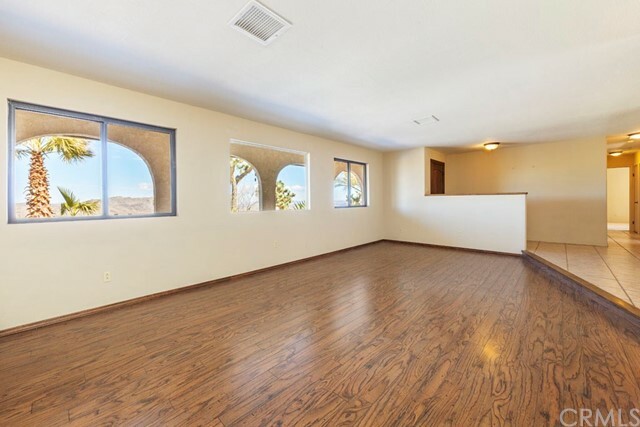 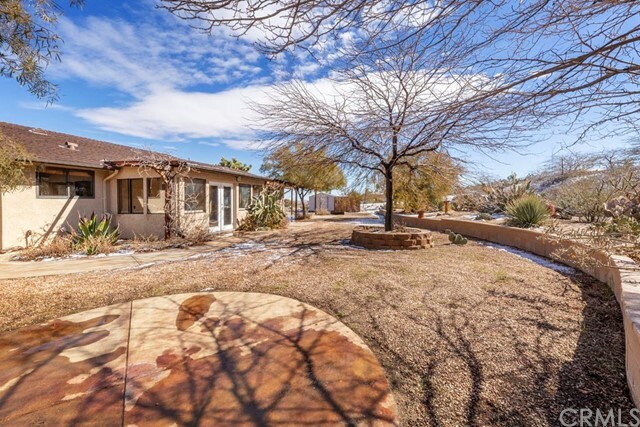 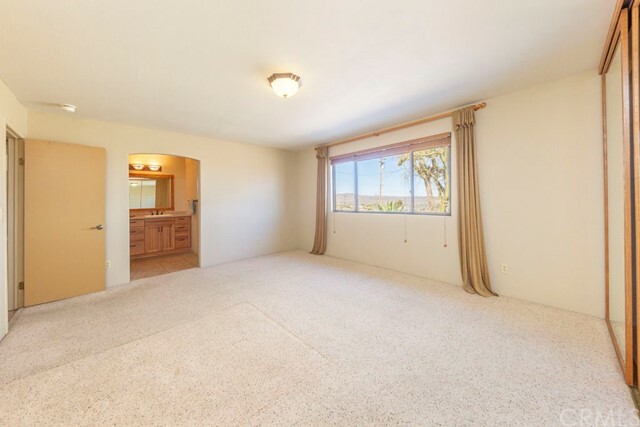 This stunning Joshua Tree home features 1,860 square feet, 3 bedrooms and 2 baths all on 2.3 acres. 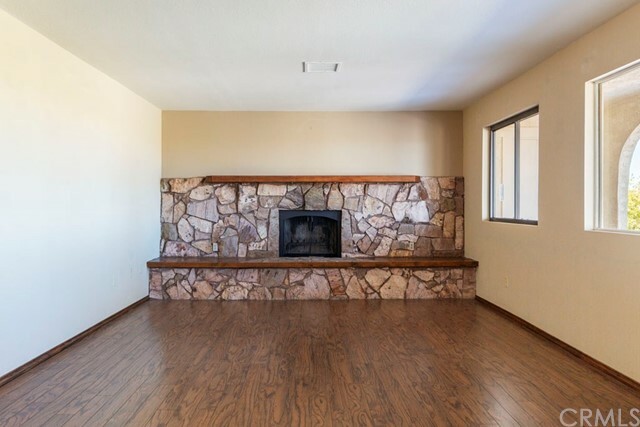 Upon entering the home you're greeted by the living room and the beautiful rocks that surround the fireplace. 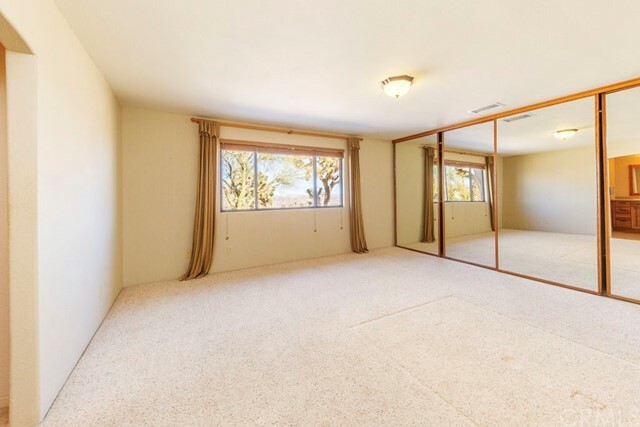 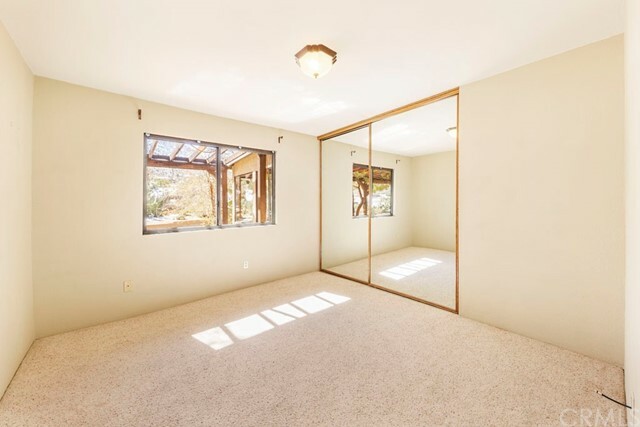 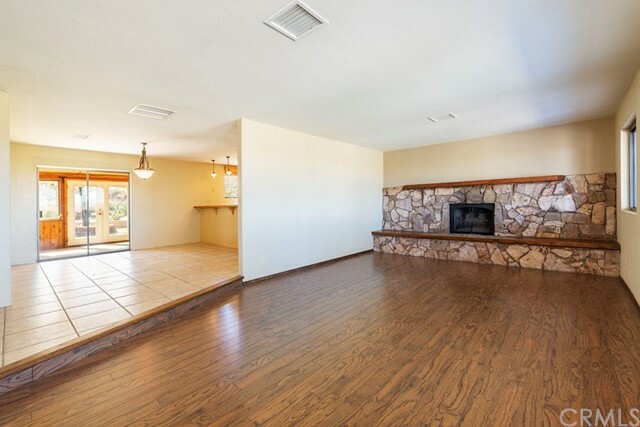 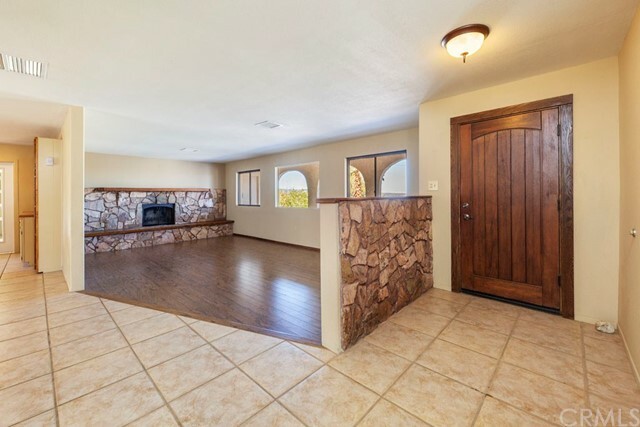 Right off the living room is the dining room with it's ceramic tile floors and french doors to the sun room. 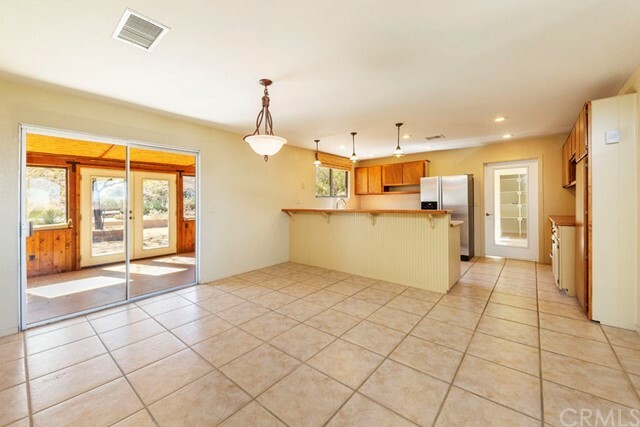 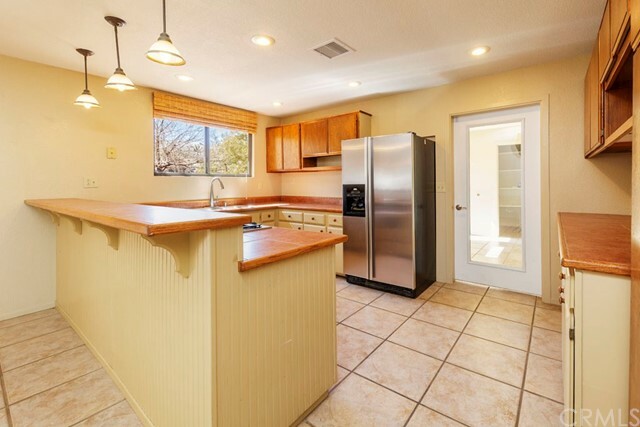 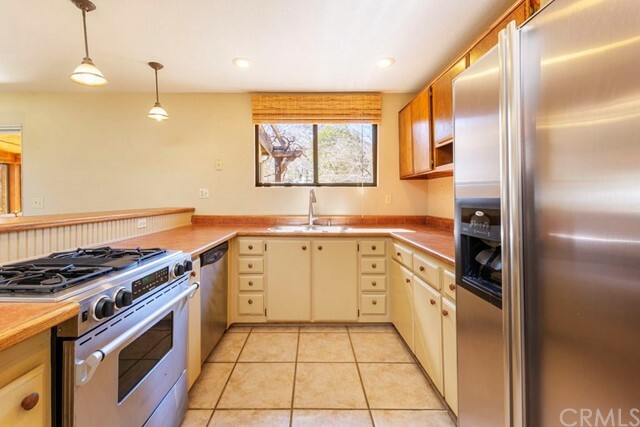 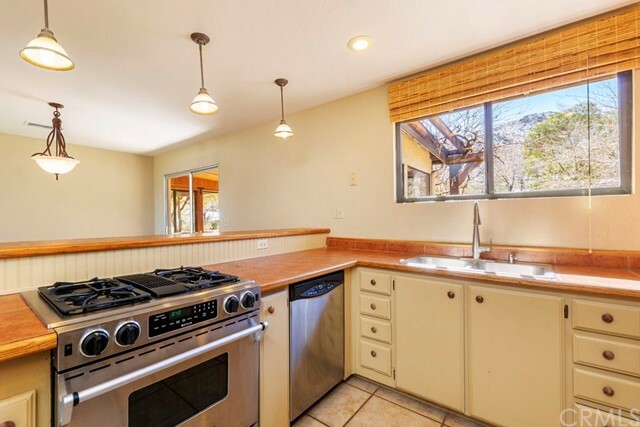 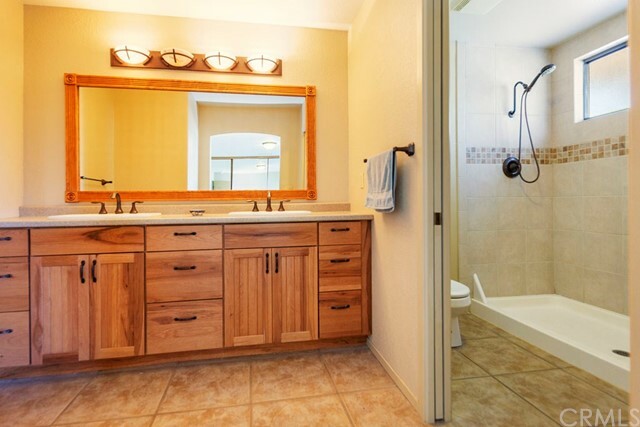 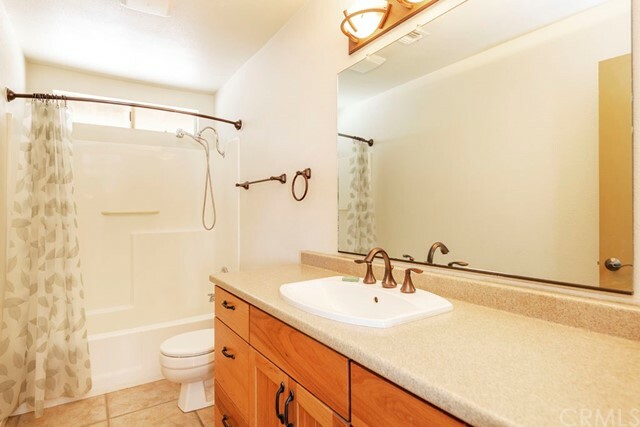 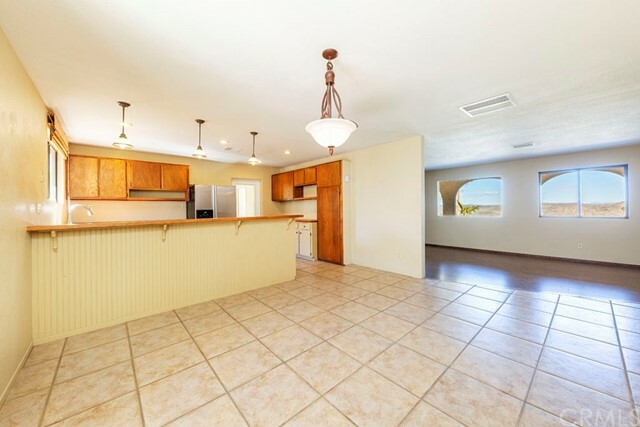 The kitchen is light and airy with tile counter tops and plenty of cabinets. 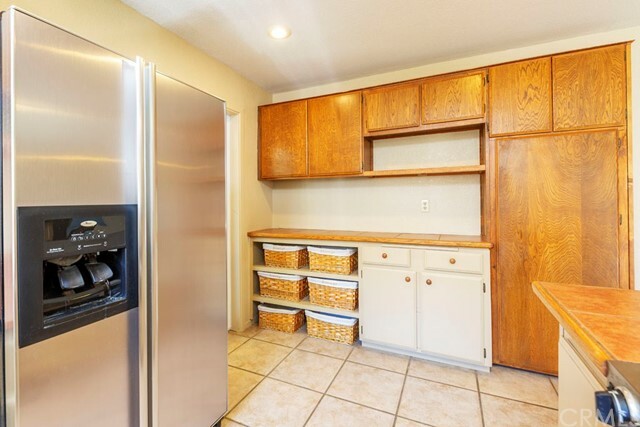 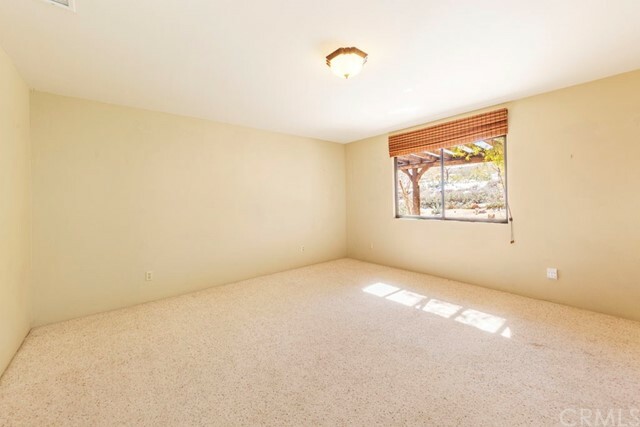 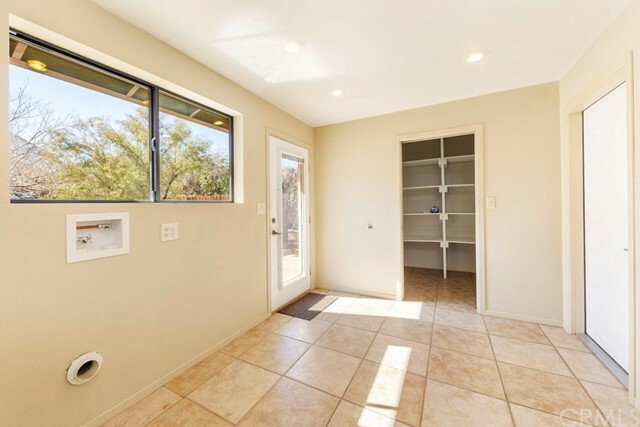 The laundry room is right off the kitchen and has big windows that let light flood in and a large walk in pantry.